Black cotton hat with adjustable Velcro closure, one size fits all. 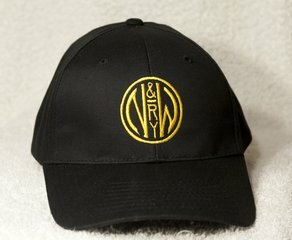 Black with N&W logo. Black cotton hat with adjustable Velcro closure, one size fits all. 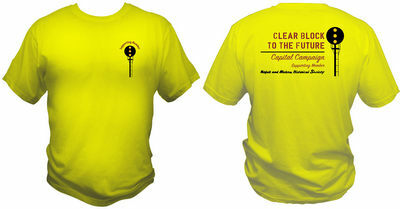 Black with yellow N&W "hamburger" logo. Dark blue cotton hat with adjustable Velcro closure, one size fits most. 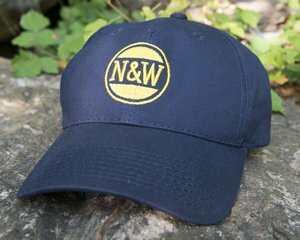 Dark blue with yellow N&W "hamburger" logo. Dark blue cotton hat with adjustable Velcro closure, one size fits most. 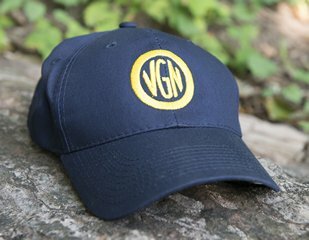 Dark blue with yellow VGN logo.